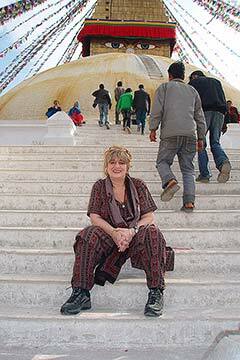 Jill Purce is a British voice teacher, Family Constellations therapist, and author. 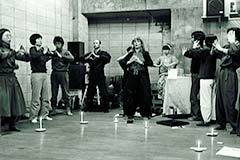 In the 1970s Purce developed a new way of working with the voice, introducing the teaching of group overtone chanting, producing a single note whilst amplifying the vocal harmonics. 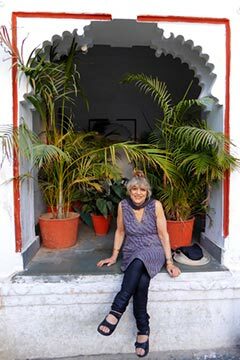 She is a former fellow of King's College London, Biophysics Department and has produced over 30 books as General Editor of the Thames and Hudson Art and Imagination series. Between 1971 and 1974 she lived and worked in Germany with the composer Karlheinz Stockhausen. 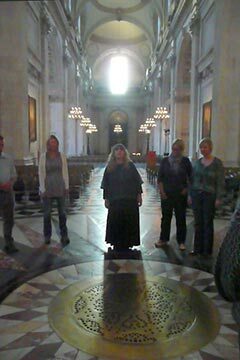 Since the early 1970s she has taught internationally-diverse forms of contemplative chant, particularly overtone chanting. For over twenty years she has been leading Family Constellations combined with chant. She is the author of The Mystic Spiral: Journey of the Soul a book about the spiral in sacred traditions, art and psychology, as well as numerous articles. Purce has described how, as a very young person, she developed a deep interest in spirituality and the power of nature. In particular at Oxford, she spent many hours contemplating the patterns in water at Mesopotamia, a watery place between the rivers Cherwell and Isis. Fascinated by the mystery of the emergence of form, she noticed that when flow encounters resistance, first it rotates, then these rotary patterns become individual eddies which separate out as independent forms. This observation of the form creating principal of flow, resistance, and rotation, became the basis of her pioneering work with the spiral. Her mother, a student of Alfred Cortot, was a concert pianist and musician who pioneered the music department at Keele University and her father was a surgeon, turned GP. 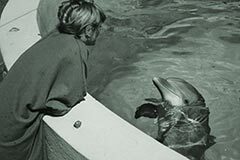 She became fascinated by the transformative power of voice after a life changing experience as a child travelling in a small boat with her family and three old women to an island off the West coast of Ireland. During the journey a violent storm blew up and they were all terrified they were going to drown. At that moment, the three women at the back of the boat started wailing a strange unearthly chant. Instantly their extreme fear transformed into a sense of bliss and the wind subsided and the storm abated. Purce was educated at Headington School, Oxford, and graduated with a BA Hons in Fine Art from Reading University (1970), and a Masters from Chelsea College of Art, London (1970-71), and Kings' College, London. From 1968-74 she researched the form of the spiral and the theme of the labyrinth in nature, science, art, psychology and spiritual traditions. She was awarded a Leverhulme Research Fellowship at King's College Biophysics Department, University of London, to explore the spiral as a universal structure. Here she initiated a dialogue between science and mysticism with Maurice Wilkins (Nobel prize with Watson and Crick for the discovery of DNA), and lectured to the BSSRS (British Society for Social Responsibility in Science). In 1974-6 she lectured at the Architectural Association School of Architecture and Chelsea College of Art and Design and was a visiting lecturer at numerous universities and art schools, on art, form, music and mysticism, as well as on the spiral as a ubiquitous form in both nature and the development of consciousness, and on sound and the voice as a spiritual practice and creative force in the universe. In 1974 she was the subject of a BBC documentary "More Ways than One: The Mystic Spiral" made by Bill Young. In 1977 she worked with the Swedish film director Mai Zetterling and acted in her film 'The Moon is a Green Cheese' (Manen är en Grön Ost, 1977). 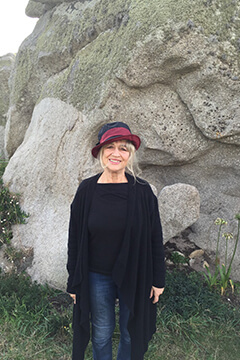 From 1984, for twelve consecutive years, she was a visiting lecturer at CIIS - the California Institute of Integral Studies in San Francisco and again in 2005, where she introduced the subject of sound as a healing modality. In 1985, she was a Visiting Professor at John F. Kennedy University in Orinda, California. From 1984 to the present, she spends 2 months of the year teaching mainly on the West Coast of North America teaching regularly at the Esalen Institute, Big Sur, California, Ojai Foundation, Institute of Noetic Sciences and Hollyhock in BC Canada as well the East Coast, teaching at the New York Open Centre, Omega Institute for Holistic Studies, Interface in Boston, Rowe Camp Massachusetts, and many other North American Institutions. From 1968 onwards Purce worked with many spiritual teachers, as well as Native Americans and Shamans from different traditions. In 1978, she began to study with the Tibetan Lama, Chogyal Namkhai Norbu Rinpoche, and has been following the philosophy and practice of Dzogchen ever since. She teaches and lectures throughout the world, at universities, colleges, schools, hospitals, Christian and other monastic communities, international conferences and centres, as well as in the corporate sector, all over the world, and has appeared on numerous TV and radio programmes in the UK and the USA. Her work with the voice was the main impetus behind widespread research into the healing effects of sound from the 1970s onwards. Purce discovered the effect of sound on matter in the late 1960's after seeing a film showing the work of Hans Jenny, a Swiss engineer and doctor who had been influenced by the teachings of Rudolf Steiner. Jenny used liquids, pastes, and fine powders to demonstrate how formless matter is organised into exquisite and precise patterns through sound vibration (cymatics). In 1885, Hughes had studied the patterns formed by lycopodium powder, sand, and also semi-liquid pastes when vibrated by the human voice. In the late 1960's Purce also investigated the effect of sound vibrations on fine particles and on water, a subject that had been much neglected since the early experiments of Ernst Chladni in 1785 and Margaret Watts Hughes between 1885-1904. In June 1971 she moved to Kürten in Germany to live and work with the German composer Karlheinz Stockhausen. During her time there, and because of her long-time fascination with the power of the voice, she inspired and helped him create Alphabet für Liège, a piece demonstrating the effect of sound and the voice on matter (1972). She took part in performances of Stockhausen's music at various music festivals (Liège, Rencontres Internationales d'Art Contemporaine in La Rochelle and Sainte-Baume - 1972, 1973, 1974). Stockhausen had just introduced a simple form of overtone chanting using vowels to the West for the first time with the premiere of Stimmung in December 1968. During the autumn of 1971 Purce toured with Stockhausen and the performances of Stimmung all over the Eastern United States and Canada. At this time she published articles on music, time and form, and worked with the spiritual dimension of music and overtone chanting. 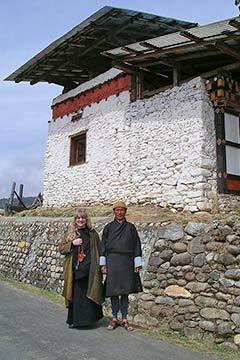 Researching the beneficial properties of the voice since 1968, and having spent time with the Gyutö monks before going to Germany in 1971, she later continued her studies in the Himalayas with the chantmaster of the Gyutö Tibetan Monastery, Tenpa Gyaltsen, and with the Mongolian Khöömii master, Yavgaan in order to explore the Tibetan and Mongolian methods of overtone chanting. Purce's researches, and her lectures and workshops throughout the world, demonstrate how the human voice can be used to bring about positive psychological, emotional, and physical changes by acting as a link between body and mind, as described in Buddhist and other Eastern traditions. Purce has also been invited by several hospitals and schools to explore the positive effect of these voice techniques for women in childbirth; at the Maudsley Hospital in London, with people suffering from Alzheimer's; at the Royal Free Hospital, London, with people suffering from mental disabilities; at Hawthorn School, with children suffering from physical disabilities; and with people suffering from ME. In 1999, as part of the international conference on Family Constellations and the work of family therapist Bert Hellinger in Wiesloch, Germany, she was invited by Hellinger to give an extended workshop to demonstrate her work to his students and conference delegates. Influenced by her time in Japan in the early 1980s where there is a strong tradition of honouring the ancestors, Purce developed a process for doing this in her own work, using ceremony and chant to acknowledge excluded family members, both living and dead. 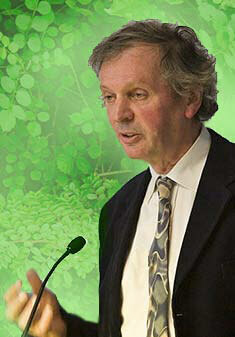 Jill Purce is married to the author and biologist Rupert Sheldrake. They have two sons, the biologist Merlin Sheldrake and the musician Cosmo Sheldrake. 1968 selected for and exhibited paintings at the Northern Young Contemporaries exhibition. 1968-74 Researched the form of the spiral in nature, science, art, psychology and spiritual traditions. 1968-74 Researched the theme of the Labyrinth, a condensed section on this was published in The Mystic Spiral, 1974. Post graduate at Chelsea College of Art, London. Awarded a Leverhulme Research Fellowship in King's College Biophysics Department, University of London, where she initiated a dialogue between science and mysticism with Maurice Wilkins (Nobel prize for DNA). 1971 Lectured at King's College to the British Society for Social Responsibility in Science (BSSRS). At this time Jill was lecturing and teaching on art, music and mysticism, as well as on the spiral as a ubiquitous form in both nature and the development of consciousness, and on sound and the voice as a spiritual practice and creative force in the universe. 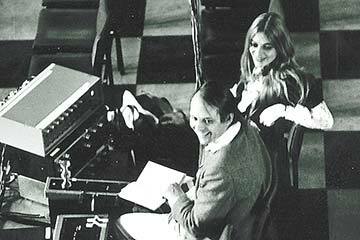 In June Jill moved to Kürten in Germany to work with the German composer Karlheinz Stockhausen. During her time there, and because of her long-time fascination with the power of the voice, she helped him create Alphabet für Liège, a piece demonstrating the effect of sound and the voice on matter (1972). She took part in concerts of his music at various music Festivals (Liège, La Rochelle and Sainte Baume -1972,1973,1974), published articles on music and form, and worked with the spiritual dimension of music and overtone chanting (producing chords or simultaneous notes octaves apart). Stockhausen had just introduced overtone chanting to the West for the first time, two years before, with the first peformance of his piece Stimmung in December 1968. During the Autumn of 1971, Jill toured with Stockhausen and the performances of Stimmung all over the Eastern United States and Canada. 1973-1982 As General Editor of Art & Imagination series, originated over thirty illustrated books on the spiritual traditions of different cultures published by Thames & Hudson. 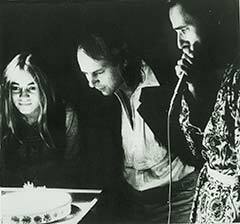 1973 Co-organized an exhibition and co-authored the catalogue : The Printed Scores of Karlheinz Stockhausen and John Cage. 1974 Her book The Mystic Spiral , Journey of the Soul, published by Thames & Hudson. 1974 Worked in Paris with Carlo Suarès, Fred Allan Wolfe, Jack Sarfatti on Bob Toben's the book "Space Time and Beyond" (E.P.Dutton 1974). Collaborated with Carlo Suarès on the French translation of "The Mystic Spiral". 1974 Was the subject of an hour long BBC documentary More Ways than One made by Bill Young. Broadcast 29th December. 1974 Lecturered at Chelsea College of Art, giving a series of lectures she called "The Breathing Cosmos". These included The Music of the Spheres (the creativity of sound and voice), "Sensitive Chaos"; - (patterns of form in nature), "The Metaphysics of Form", "The Labyrinth and other Ritual Structures" and many others. 1974-1975 Lecturer at The Architectural Association in London, where she gave a series of open lectures she called "Time and the Music of Form" The first of these lectures, "The Music of the Spheres", discussed "Music, vibration, form, overtone chanting and creation through sound and voice. 1975 Lectured At the ICA - The Institute of Contemporary Arts in London : "Cosmic Order and The Mystic Spiral." 1977 Worked with the Swedish film director Mai Zetterling and acted in her film 'The Moon is a Green Cheese' (Manen är en Grön Ost, 1977). 1978 she began to study with the Tibetan Lama, Chögyal Namkhai Norbu, and has been following the philosophy and practice of Dzogchen ever since. 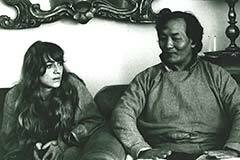 1978-82 Organised a number of retreats for Chögyal Namkhai Norbu. 1980 She gave one of the Schumacher Lectures, along with Shirley Williams and Johan Galtung, entitled "Creative Tension". 1981 Guest Speaker International Conference on Education, Ballina, Ireland. 1981 to the present spending part of each year teaching in various countries throughout Europe only a few of which are noted here. 1982 Lecture to the International Transpersonal Association Conference Bombay, India. 1982-84 Travelled and studied in India and the Himalayas. From 1982 onwards she was a regular speaker at the International Transpersonal Association (ITA) conferences, organized by Stanislav Grof. 1984-2014 For many years Jill gave extended workshops and was a visiting lecturer at CIIS - the California Institute of Integral Studies in San Francisco and again in 2005. From 1984 to the present, Jill spends 2 months of the year teaching mainly on the West Coast of North America, regularly at Hollyhock in BC Canada as well the East Coast, teaching at the New York Open Centre, Omega Institute, Interface in Boston, Rowe Camp Massachusetts, and many other North American Institutions. 1984 to Present Jill spends the rest of the year giving workhops and lectures in the UK and Europe. 1985 Visiting Professor at J.F.K University in Orinda, California. June 1993 Gave a lecture and seminar for ENO (English National Opera) "The Healing Power of Opera" as part of the Covent Garden Music Festival, London. She later led the audience in a chanting meditation before the first performance of Jonathan Harvey's Opera: "Inquest of Love" for ENO. 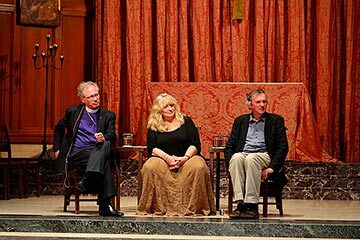 1994, in Grace Cathedral, San Francisco, USA, created and participated in the event "Ritual, Resonance and the Return of the Angels", with Matthew Fox and Rupert Sheldrake. 1995 Presented and participated in the round table discussion The Global Crisis of Spirit and the Search for Meaning with Mikhail Gorbachev, Sam Kean and others at the first State of the World Forum in San Francisco. Spoke on a small panel with Mikhail Gorbachev. 1997 July - Gave the opening lecture for the 4th International Congress of Voice Teachers (ICVT) at the Queen Elizabeth Conference Centre in London. 1997 Circumambulated the Black Sea by boat, with his All Holiness The Ecumenical Patriarch Bartholomew of Constantinople, taking part in Symposium II : "Science and Religion and Environment, The Black Sea in Crisis", sponsored by the European Commission, Romano Prodi and the Orthodox Church. 1999 Sailed down the Danube to the Black Sea, with his All Holiness The Ecumenical Patriarch Bartholomew of Constantinople, taking part in Symposium III : "Science and Religion and Environment - A River of Life : Down the Danube to the Black Sea", sponsored by the European Commission, Romano Prodi and the Orthodox Church. 1999 As part of the international conference devoted to family constellations and the work of family therapist Bert Hellinger in Wiesloch, Germany, she was invited by Bert Hellinger to give an extended workshop to his students on her work "Healing Family Patterns and Ancestral Lines". 2000 Talk and workshop fpr MMA, (Music Masters and Mistresses Association) Annual Conference (principal body of UK School Music teaching professionals), hosted by Ralph Allwood at Eton College. 2002 Sailed around the Adriatic Sea with his All Holiness The Ecumenical Patriarch Bartholomew of Constantinople, taking part in Symposium IV "Science, Religion and the Environment- The Adriatic sea, a Sea at Risk, a Unity of purpose": sponsored by the European Commission, Romano Prodi and the Orthodox Church. 2003 Sailed around the Baltic Sea with his All Holiness The Ecumenical Patriarch Bartholomew of Constantinople, taking part in Symposium V "Science, Religion and the Environment-The Baltic Sea, a Common Heritage." : sponsored by the European Commission, Romano Prodi and the Orthodox Church. 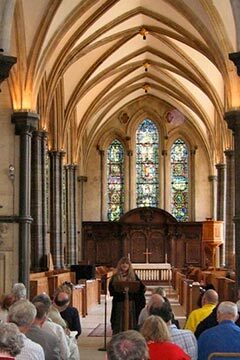 Around this time, invited to work with nuns and monks in a number of enclosed Christian Monastic Communities who sing Gregorian Chant, particularly Burnham Abbey and Fairacres, to teach overtone chanting and other methods to explore ways to re-invigorate and rediscover the meditative power of chant. As a result of this, a number of these communities now use overtone chanting as part of their meditation. 2006, September 8-11, Lecture and Workshop to the British Psychological Association, Transpersonal Section, Annual Conference.